Many complicated inventions can be broken down into a few of the six simple machines: the lever, inclined plane, wheel and axle, screw, wedge and pulley. These six machines form the basis for many more complicated creations that help to make life easier. 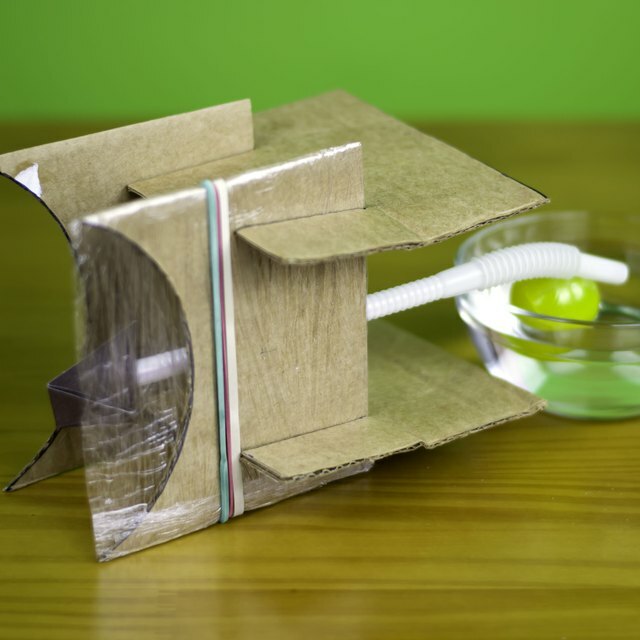 Many students are required to create simple machines for science projects. Building a whirligig in a shoebox combines the lifting power of a lever with the turning motion of a wheel and axle to create a fun and simple project. Unfold the wire clothes hanger so that it forms a completely straight line. 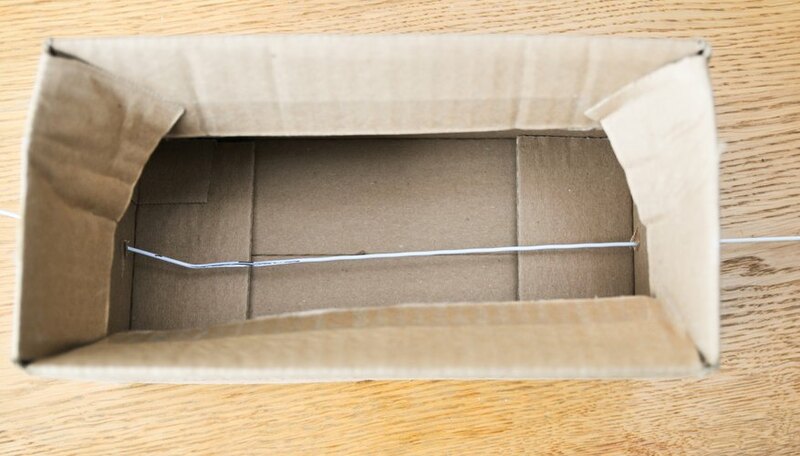 Push one end of the clothes hanger through an end of the shoebox until it passes straight through the other end. Leave an equal amount of excess hanger on each end of the box. Grasp the hanger inside the shoebox, about two inches from one end of the box. Bend the hanger down so that it forms a squared-off dent; the dent looks like a square without a top. Two to three inches inside the other end of the box, bend the hanger up; this will form a similar shape, except that it will look like a square without a bottom. Straighten two metal paper clips. Attach the paper clips to the two bent areas of the hanger with tape so that they point straight up. 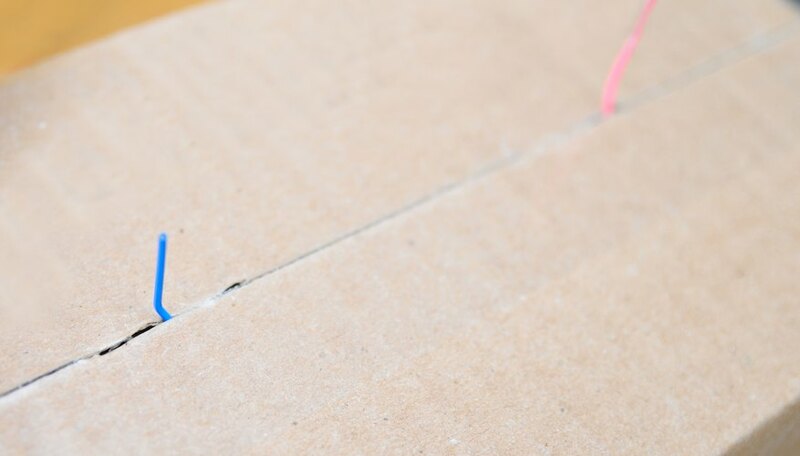 Push the ends of the paper clips through the top of the shoebox so that they protrude above the box. 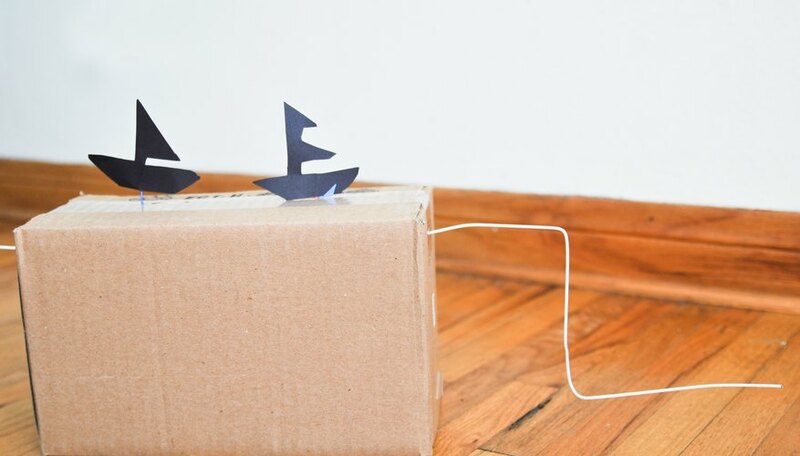 Attach decorations to the tops of the paper clips and decorate the box. The decorations can represent boats bobbing on a river, one person chasing another or any other appropriate design. Bend one end of the hanger outside the shoebox into an L shape; this will be the crank. Turn the crank to make the hanger turn; as it turns, the paper clips will bob up and down, creating motion for your decorations. 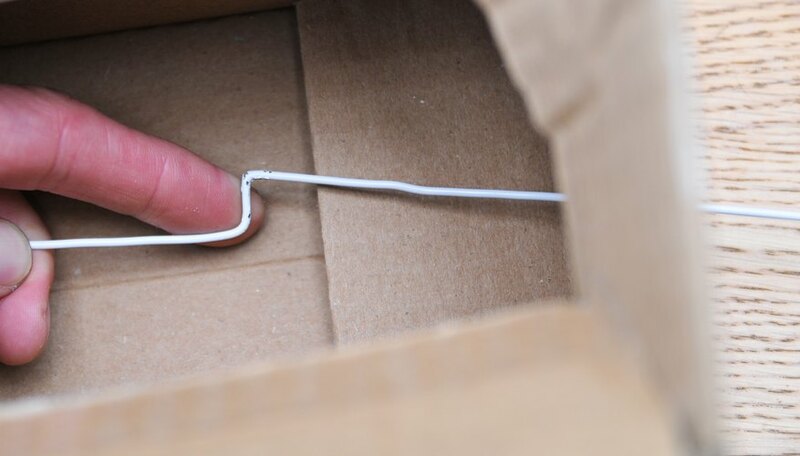 Use pliers if necessary to help you bend the hanger and paper clips. Volz, Samantha. "How to Make a Simple Machine for a Science Project." Sciencing, https://sciencing.com/make-simple-machine-science-project-6232331.html. 24 April 2017.